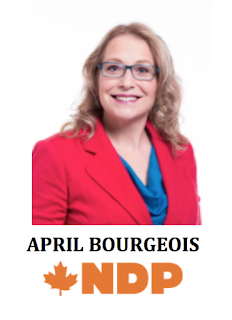 April Bourgeois is a member of the Métis Nation of Saskatchewan and is the federal NDP candidate for Regina-Wascana. -External Director of the Saskatchewan Indian Equity Foundation which is a Aboriginal financial institution that offers development lending to First Nations businesses. -April is the founding publisher of Prairie Dog (Regina) and Planet S (Saskatoon) magazines that focus on news, arts and entertainment. 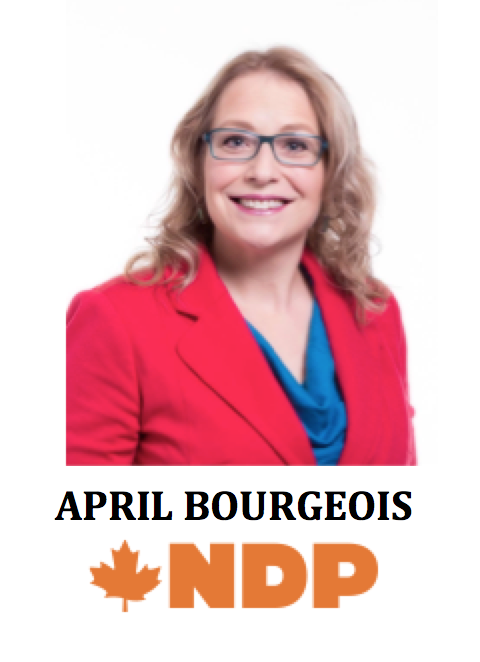 -She has served on the Canadian Community Economic Development Network’s national policy council and the national board of The Cooperators. -April has a Bachelor of Arts (Anthropology) the University of Regina and a Master of Management from St. Mary University. 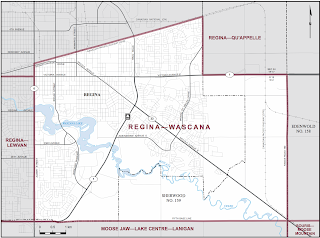 -Regina-Wascana is a riding that encompasses the southwest quadrant of the city of Regina and small part of the surrounding rural municipalities. 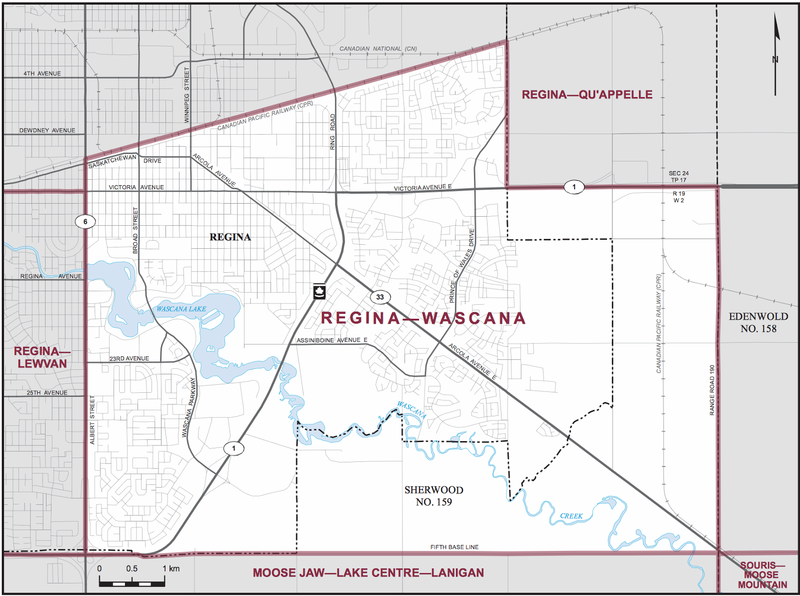 With the 2013 electoral boundary commission changes, the riding loses much of the rural district that was included in the predecessor Wascana riding. 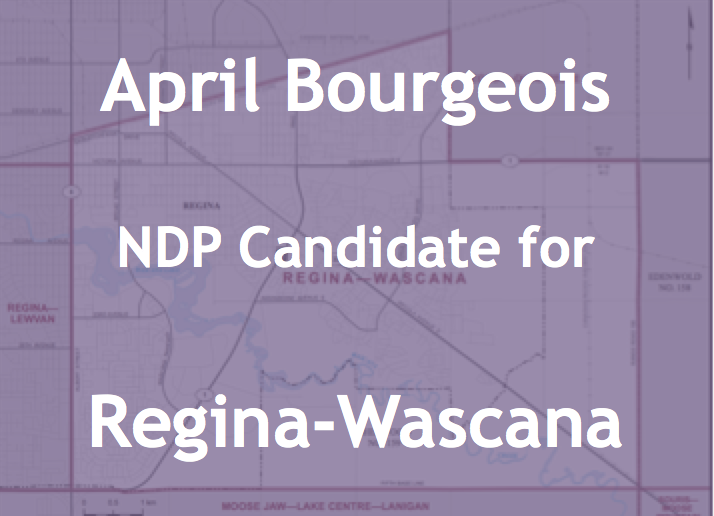 It has been suggested that the NDP will do better in the new urban ridings of Saskatchewan which lost much of their rural vote, which tended to vote Conservative. -The current MP for Wascana first elected in 1993 and Liberal Party candidate for the 2015 election is Ralph Goodale. He was Finance Minister for the Paul Martin government and Federal Interlocutor for Metis and Non-Status Indians for the Chretien government. 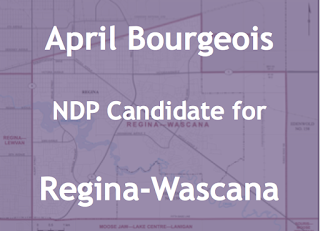 -Based of the 2011 census the riding has an Aboriginal population of 5,355 or 7.6%.